Great device for warming a selection of treatments simultaneously. The Beauty Pro Product Warmer has been developed as a hygienic method to warm skin care, massage oils, essential oils, barbering products and hair care. A stylish-looking device, it will hold up to 4 different products at the same time. This means you can load it with a selection of different individual treatments and plan them so that one can follow another with ease. It will look good in any salon or barber shop, but is small enough to be portable for the mobile stylist. The Product Warmer maintains a 50°C temperature of products and reduces cross contamination and product waste. Products will be ready to go after just 30 minutes. 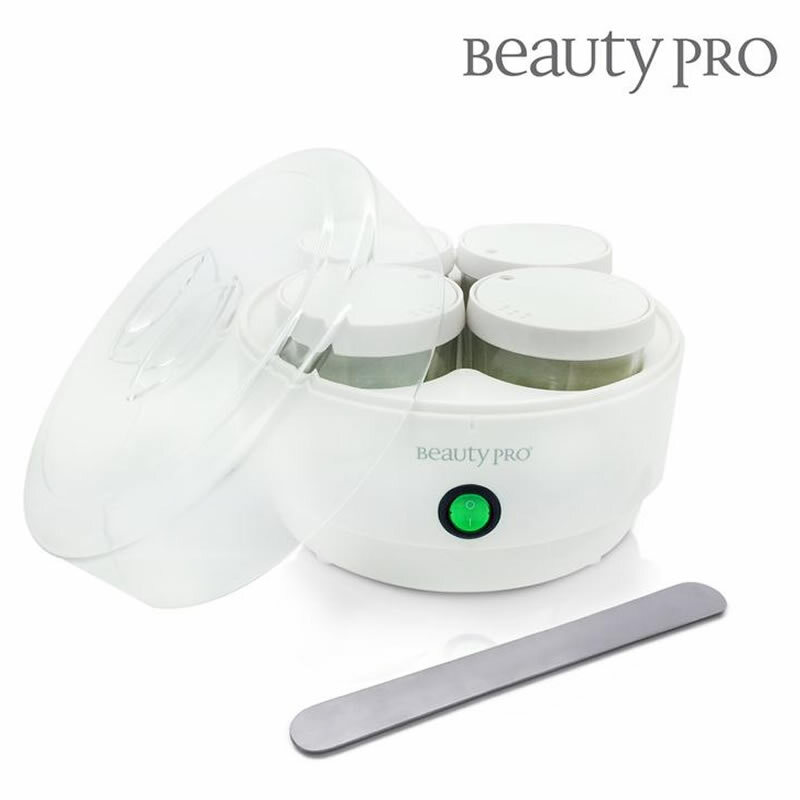 Available in 220v the Beauty Pro Product Warmer runs at only 15 Watts, so you can simply turn on the BeautyPro Product Warmer when needed. £46.80 (inc. VAT) Why no VAT? We're a trade wholesaler and quote our prices without VAT to help our VAT-registered customers understand the true cost of a purchase. Buy any 5 Aromatherapy or Massage products and save 10%! 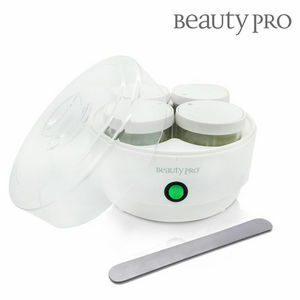 Robust glass jars to hold differing treatments and products, specifically designed to fit the Beauty Pro Product Warmer. They are available as a set of 4.